Product #21044 | SKU DL-HB48 | 0.0 (no ratings yet) Thanks for your rating! The HB48 Lens Hood from Dot Line is a petal-style hood made for the AF-S Nikkor 70-200mm f/2.8G ED VR lens. The petal shape provides protection against light from the areas of the photo that need it, while allowing light in at the corners, thereby reducing vignetting. This hood is designed specifically for this lens' focal length, providing the most protection without showing in the frame. It protects your lens from light that can cause unwanted flares in your photographs. 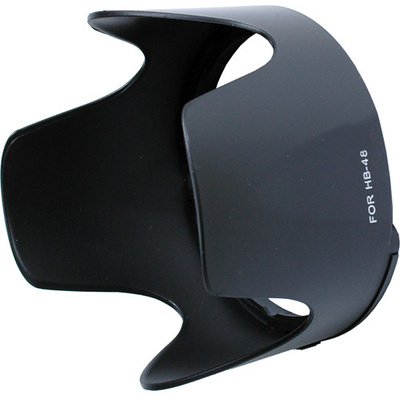 It can also protect the front of the lens from the elements and accidental impact.